Hello and welcome to Arsenal Canada Supporters Club 2017/18! As the official Supporters Club to Arsenal FC, Arsenal Canada is delighted to represent Gooners from coast-to-coast-to-coast of our beautiful country! 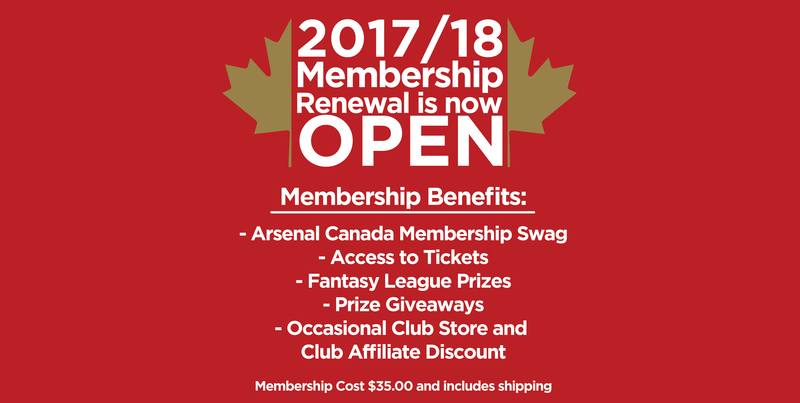 We hope that you will sign up for an Arsenal Canada membership so we can continue to grow our Supporters Club and bring people together whether it’s over social media, to find a local pub along your travels, or new lifelong friends and to represent Canada to Arsenal FC. While still in the growing stages, Canadians have shown that we are passionate about Arsenal and have worked hard to form local branches where games are shown live. If you live in Vancouver, Calgary, Edmonton, Winnipeg, Toronto or Montreal there are solid branches forming and they would love to have you join them! We have an official face value allocation of tickets available to our members for every home game! Please see our Ticketing page for more information. We have a fantastic member pack that you will love including a new Junior pack this season, which is currently in the works, for our younger fans to enjoy! You will be eligible for the occasional competitions and prize draws for official Arsenal gear! We are hosting two Fantasy Leagues this season which will include fantastic prizes including official kits with the player/number of your choosing! We are hopeful to have a discount on official Arsenal gear and will release more information ASAP! 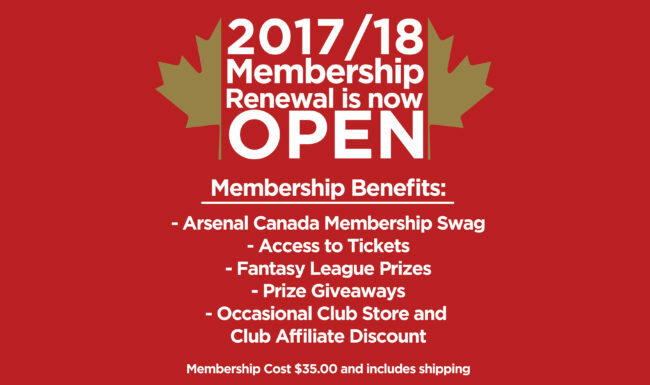 Arsenal Canada has undergone some changes over the off-season and we are looking forward to providing a great service to our members and to represent Canada to Arsenal FC. 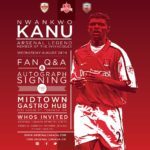 While we look forward to the coming season we are excited to say we are exploring new ways to get our members over the London to see the glorious Arsenal live and in person. We will also be putting up a banner at The Emirates to show Arsenal Canada’s representation to the world! Many thanks and here’s to another exciting season!